Click to Book a FREE 10-minute Consult! As a Certified Iridologist, Eileen can help you diagnose a health issue long before clinical symptoms appear. Iridology is a non-invasive, accurate, safe and painless health analysis done by studying the coloured part of the eye (iris). As a diagnostic tool, iridology provides an insight into the inherited and/or acquired weaknesses and strengths in the body. Some of the weaknesses, imbalances and conditions detectable by an iridology assessment include: inflammation, toxicity, disturbances and condition of the digestive system, state of the nervous system, lymphatic system congestion, and under-activity of the eliminatory channels. The iris of the eye is complex. It is an extension of the brain, being incredibly endowed with hundreds of thousands of nerve endings, microscopic blood vessels, muscles and other tissues. 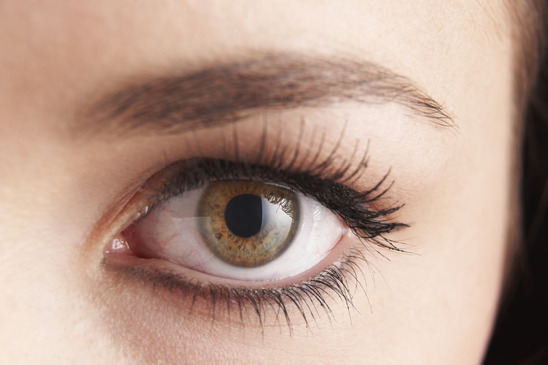 By way of the brain and nervous system, the iris is connected to every organ and tissue of the body. The brain is the ultimate control of the body and via the central nervous system, the brain knows the complete condition of all organs and tissues of the body at all times, which can be viewed in the iris. Because of the highly sensitive connection to the brain, the iris acts like a remote television picture tube, giving us a complete neurological picture of the body at all times by the reflex of neurological impulses. The eye works two ways, not only does it enable us to bring images of the outside world within, it also shows images of what is within to the outside. What happens during the assessment of my iris? A close-up photo is taken of each eye and downloaded onto a laptop. Together with the client, the practitioner reviews the colours and shapes in the iris of each eye, as displayed on the laptop screen. The strengths and weaknesses are discussed, from which a nutritional and lifestyle plan is determined. The full procedure takes 60-75 minutes. All of which will be summarized in a written report, including a personalized nutrition and lifestyle plan. As a Toronto Certified Iridologist Eileen can help you identify health issues at the earliest stage. Proudly Serving the Yorkville, Toronto, Woodbridge, Vaughan, GTA and neighbouring areas | © 2019 Essential Balance Holistic Health Services. All Rights Reserved.